At last the time came, at 14:10:27 hours, on Wednesday October 23, 2013, from the Control Room of ESOC (European Space Operations Centre of ESA) in Germany, the feared final switch-off command was sent to satellite Planck. This officially marked the end of an extraordinary mission that was able collect photons from the “infant” Universe. The heritage bequeathed by this telescope is enormous. 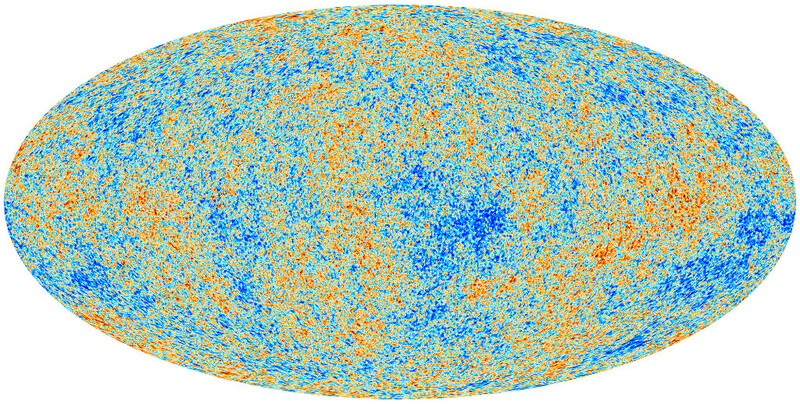 In four and a half years of constant observation of 360° of the sky, using microwave frequency, it has presented us with a more accurate map of cosmic background radiation (CMB – Cosmic Microwave Background Radiation), with new dates regarding the age of the Universe and a precise dosage of the ingredients that form the Universe, providing an accurate estimate of the quantity of Dark Matter and Dark Energy in the Universe. Planck was switched off, or it could more rightly be said, it was permanently hibernated, but its data will continue to be analyzed for at least one year more and in 2014, new polarization maps will probably be provided, from which the signature of the gravitational waves produced in the Big Bang may finally emerge. After only 15 months of observations, Planck had already discovered that the Universe is dark, i.e. dominated by Dark Matter and Dark Energy. The satellite substantially confirmed and improved the measurements made by its predecessor, the American satellite, WMAP (Wilkinson Microwave Anisotropy Probe). Therefore we know that the Universe is made of Dark Matter (approx. 27%) and Dark Energy (approx. 68%), and the remaining 5% is made of the same matter as us, the Earth, the stars and all the visible objects in the Universe. This matter is called baryonic matter. The Universe is defined dark, because the Dark Matter and Dark Energy do not emit light, and for this reason, up to the present date we are still unable to understand its true nature and composition. However we know that without the Dark Matter the galaxies would not be able to exist, they would disintegrate under the action of their own force of gravity, while the Dark Energy is responsible for the acceleration of the expansion of the Universe. From the data from Planck, it can therefore be deduced that the Universe is expanding slightly slower than when measured by WMAP, which means that it is slightly older. The estimated age is 13.82 billion years and no longer 13.7. 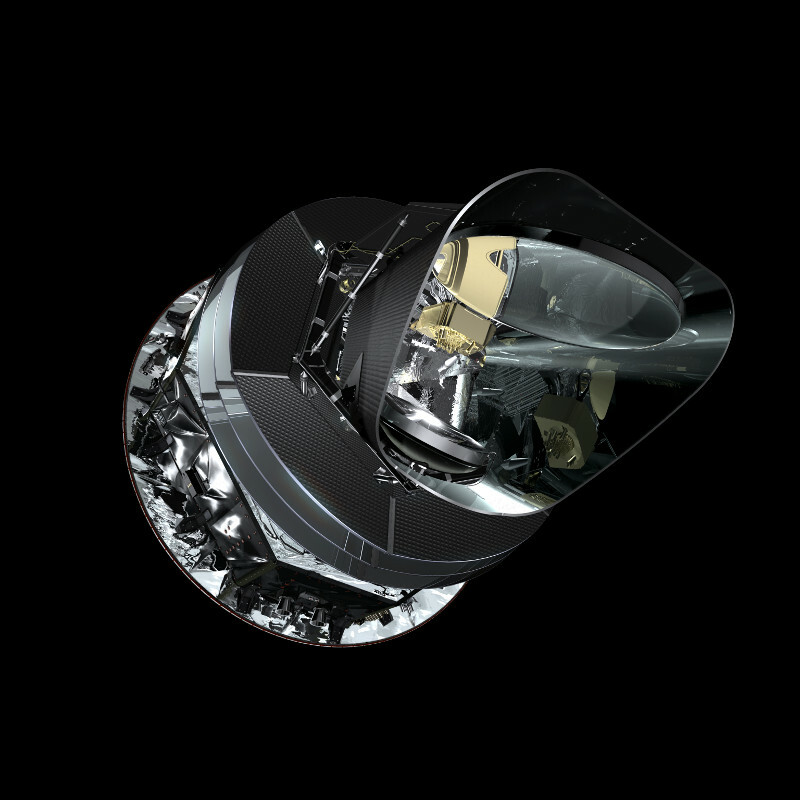 Thanks to the continuous progress made in astrophysical research and in the development of increasingly powerful telescopes, today we can scrutinize the remotest corners of the Universe. We can also study the past history of the Universe because the telescopes pick up light that has travelled for a very long period of time, depending on the distance of the source that is being observed. Light, in fact, even if it travels at a speed of 300,000 kilometres per second, does not reach the telescope immediately but takes some time to reach it, and this time increases with the increase in the distance it must travel. The telescope can be considered a time machine: the greater the distance in space, the greater is the time we are looking back at. The following question spontaneously arises, “Then why was Planck not able to go even further ahead, and photograph the Big Bang?” The problem is intrinsic to the nature of the Universe itself. There is a limit, beyond which not even the most modern telescopes can push forward. In order to better understand why there is this limit, we must study the phenomenon of Cosmic Background Radiation. The theory of Cosmic Background Radiation was formulated in the first decades of the twentieth century, when observations confirmed that the Universe did not end at the edges of our Galaxy, and that the Milky Way was one of many galaxies in the Universe. Thanks to the observations of the astronomer Edwin P. Hubble, carried out starting from 1929, it was discovered that other galaxies exist and these move away from one another (receding motion). And the further these galaxies were from our galaxy, the greater was the speed at which they moved away. 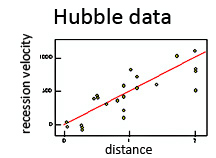 Hubble proved that the recession velocity is directly proportional to the distance of the galaxy. The constant of proportionality in fact is known as the Hubble constant. The discovery that the galaxies move away, consequently led to the question, “ If, like in a movie, we could rewind the tape of time, would we be able to observe the Big Bang, the moment when space and time began?” The recession velocity, in fact, represented the direct consequence of the expansion movement generated by the Big Bang. In the 1940s, the physicist George Gamow and his collaborators, Ralph A. Alpher and Robert R. Herman, developed the theory regarding the synthesis of atomic nuclei (Primordial nucleosynthesis) which provided an explanation for the formation of matter, using the Big Bang model. The calculations started about one second after the Big Bang. In that phase, the Universe was incredibly dense and hot, so that light could not spread in it. In fact it is said that the Universe was opaque to light, because the latter was being continuously hit and interacted with other particles (matter) and in particular with the electrons which at the time scattered freely. However, the expansion of the Universe led to a gradual decrease in temperature up to a temperature below 4000 Kelvin, and there was a final break between the matter and radiation. Starting from this time, defined matter-radiation uncoupling, light was able to spread freely. The Universe has become transparent to light. The photons could scatter undisturbed. This is the light that we call Cosmic Background Radiation. Therefore it will not indicate the light produced in the Big Bang, but what took place about 380,000 years later. This is the reason why it is not possible to observe the first instants of the Universe directly! In 1948 Ralph Alpher and Robert Herman, based on the theory they had developed, foresaw that this radiation, which is now rarefied and cooled, due to the expansion of the Universe, would have a temperature that was not greater than 5 Kelvin, and should in some way be possible to record. And we reach the discovery, which took place almost by chance. 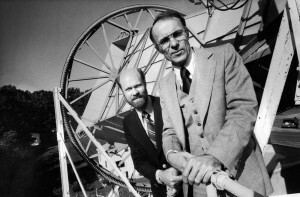 It is 1964, the physicist Arno Penzias and the astronomer Robert Wilson are trying to measure the intensity of radio waves coming from the Milky Way on behalf of Bell Telephone Laboratory, using a microwave antenna. When carrying out the measurements, an unknown noise was recorded, which they were unable to codify and was impossible to eliminate. This signal was present at antenna temperatures ranging between 2.5 and 4.5 Kelvin. They had discovered fossil radiation, the residue of the hot phase of the Universe. The discovery of CMB is one of the most important results of the last century. It has raised new questions on the geometry and the formation of large scale structures of the Universe. In 1990, NASA’s satellite COBE (COsmic Background Explorer) created the image of the infant Universe, and accurately measured the temperature of the CMB, equivalent to 2.73 K.
Furthermore it discovered that this radiation has some small dishomogeneity in the temperature (anisotropies), from which galaxy clusters and galaxy super-clusters were born. The measurements of Cosmic Background Radiation were confirmed and improved in 2001, by satellite WMAP (Wilkinson Microwave Anisotropy Probe). And we have come up to Planck: in fact, as a result of the studies carried out on these anisotropies, it has been possible to define the age of the Universe, with a precision that had never been reached up to date. Furthermore, by studying the past of the Universe, today we are able to understand how it evolves and how it will end. Astrophysicist, scientific divulger, for the Planetarium in Turin, she is in charge of training and development and display of museum exhibits.